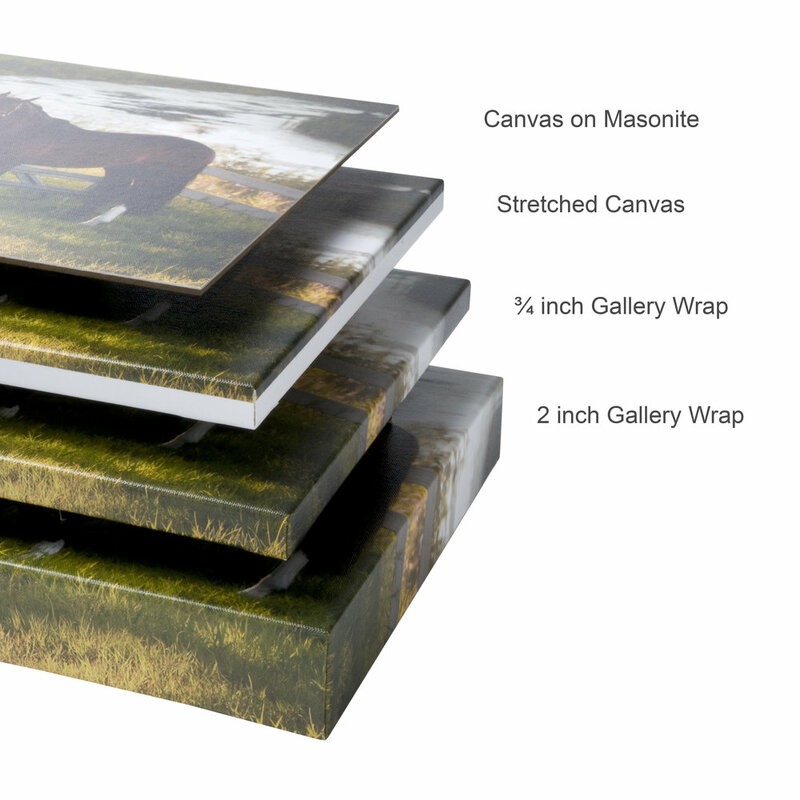 Looking to have your favorite images displayed on your wall, We ship all over North America! Click here to Message us today to get your order started! Be sure to include which event your image(s) are from and we'll put together a gallery for you to make your decision and you can order directly from that gallery digital files or any of our many wall art selections. Below are some of the popular choices to choose from, if your looking for something else let us know we have access to a huge selection of Photographic papers and Wall Decor via our local supplier and printer Technicare. 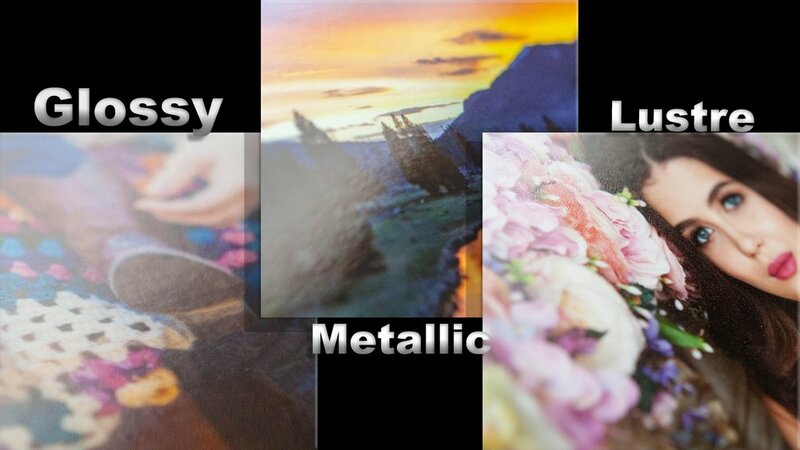 Glossy prints have a shiny appearance which does quite well showing the details and colours of the image, and produces deep rich blacks. Metallic prints have this name because they almost look like they were printed on a sheet of metal. The metallic finish provides a vibrant “pop” to images, making it a truly unique keepsake. Lustre prints are slightly glossy, which helps enhance the image’s color and details, but also feature a very fine “texture” to help reduce problems associated with glare and fingerprints. With four mounting options, two of them featuring a post design both through the image and post hook style that hold the image on its finished edges. For a more clean hidden shadow mount look we offer mounts on the backside that sit either 1/2”-3/4” off the wall. 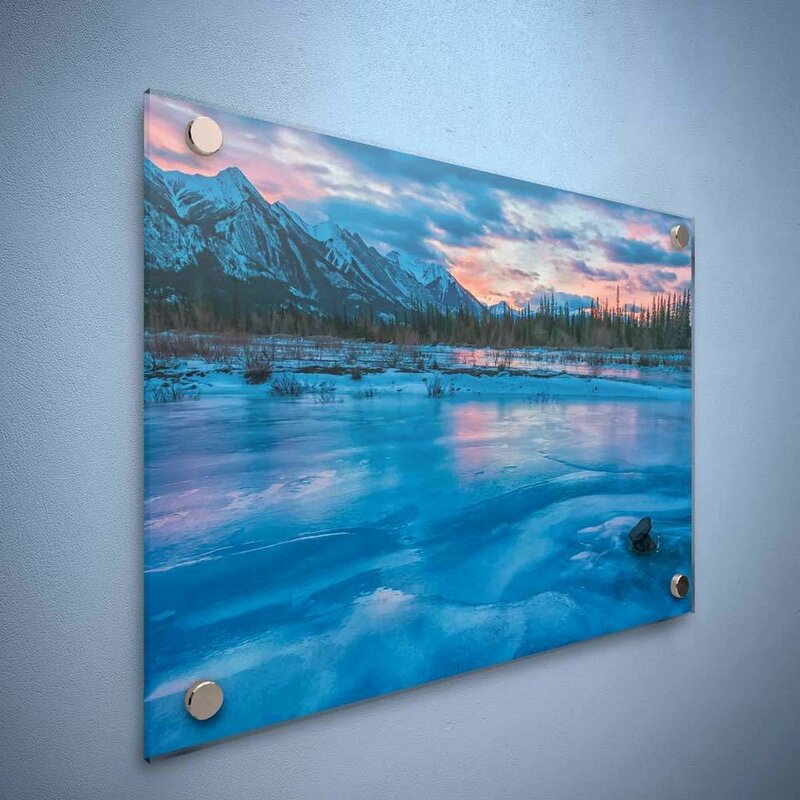 “Plaque Mounting is a unique way to display your finished work and is an attractive alternative to framing. They are available in two different thicknesses: standard, or deep profile. The finished product is durable, elegant, and eye-catching. Our Standard Plaque is finished with your choice of laminate, mounted to 3/8” MDF board, foil-edged and slot routered on the back ready to hang.